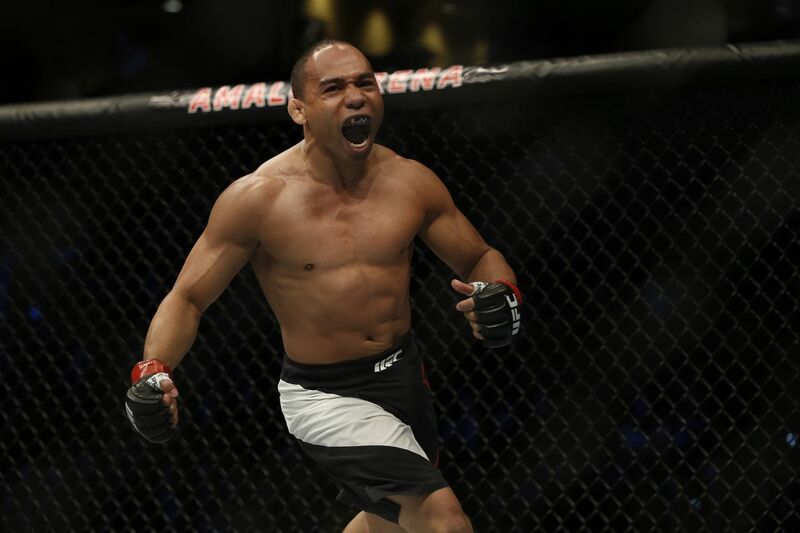 Two of the more exciting bantamweights in the world will collide at UFC Fight Night 120 on Nov. 11 live on FOX Sports 1 from inside Ted Constant Convocation Center in Norfolk, Va., as former UFC flyweight title challenger John Dodson takes on former World Series of Fighting (WSOF) bantamweight champion Marlon Moraes, per an initial report by journalist Farah Hannoun (which was later confirmed by MMA Fighting’s Guilherme Cruz). Dodson, 32, has compiled a 1-1 record since moving up from flyweight in 2016. “Magician” dropped a split decision loss to John Lineker back at UFC Fight Night 96 before getting back in the win column with a decision victory over veteran Eddie Wineland at UFC Fight Night 108 this past April. Dodson is one of the more dangerous contenders in the 135-pound division and a win or two away from immediate title contention. Moraes, 29, lost a split decision to Brazilian veteran Raphael Assuncao in his Octagon debut back at UFC 212. It was his first defeat since 2011 (13 fights). The former WSOF king is as talented as they come in the bantamweight division and should only improve after experiencing some first-time UFC jitters. UFC Fight Night 120 will be headlined by a lightweight matchup between former divisional king Anthony Pettis and promotional staple Dustin Poirier. For more UFC Fight Night 120 fight card news click here.